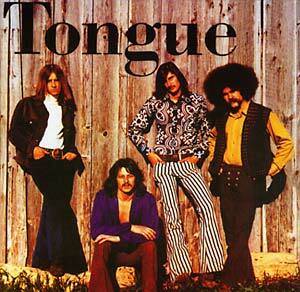 "Tongue were a blues-based, organ-fueled, country and rural folk-influenced hard rock band that emerged from the copious student population of countercultural Wisconsin. Though Tongue remains a criminally underrated outfit, and never made it big on a national level, their touring reached legendary status, particularly in the mid-west. They were on the road for 10 years and played 250 gigs a year without flying to a single one of them. Originally issued in 1969, their debut LP was recorded near the beginning of their career, thereby capturing the band during the early peak of their powers. Featuring a great version of Tim Hardin's 'Morning Dew,' Keep on Truckin' is a forgotten classic of late '60s American psychedelia."